Netflix’s move to first place, leap-frogging some other perennial top-ranking brands was a bit of a surprise – but not too big of a surprise. The company has been on a roll for some time and they are now the leading streaming service with over 139 million paid memberships in over 190 countries. 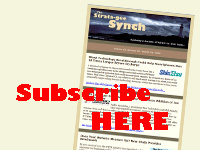 Clearly, the company made the right strategic move when – as Reputation Institute’s analysts noted – it moved from being a simple content aggregator to a content creator. Now one of the leading production companies in Hollywood, Netflix will be hard to catch…although Apple and Google are going to try. Unfortunately, most tech companies did not fare so well, and this survey is just the latest warning shot for the industry that our collective reputation with consumers is slipping…which is never a good scenario. We told you last month of another survey of corporate reputation by AXIOS & The Harris Company, and certainly some of these results are consistent with that one. However, it would seem as though the dire warning offered by that survey last month of declining trends for certain tech brands, only appears to be accelerating with this new, later survey. Only two tech companies appear here, Netflix and Nintendo – and some would argue that Netflix isn’t actually a technology company, but a content provider. I was surprised at the lack of other big technology brands shown here, most notably Amazon, who has been usually on this list. It’s when I started looking for them that I ran across some surprising results. AMAZON – One of those perennial top performers on this corporate reputation list, Amazon has been in the top 10 for eight consecutive years. It has been #1 for half of that time. Last year, Amazon came in at #10. This year? They are not only not in the top 10…they didn’t even make the top 50, coming in at #54. GOOGLE– Another top tech brand that has been in the top 100 for years, in 2018 Google had already suffered a reputation decline, coming in at #56. But this year was an even bigger shocker. For the first time ever in the history of this survey, Google has failed to make the cut – dropping an astonishing 63 spaces (!) to disappear from the top 100…and coming in at #119. 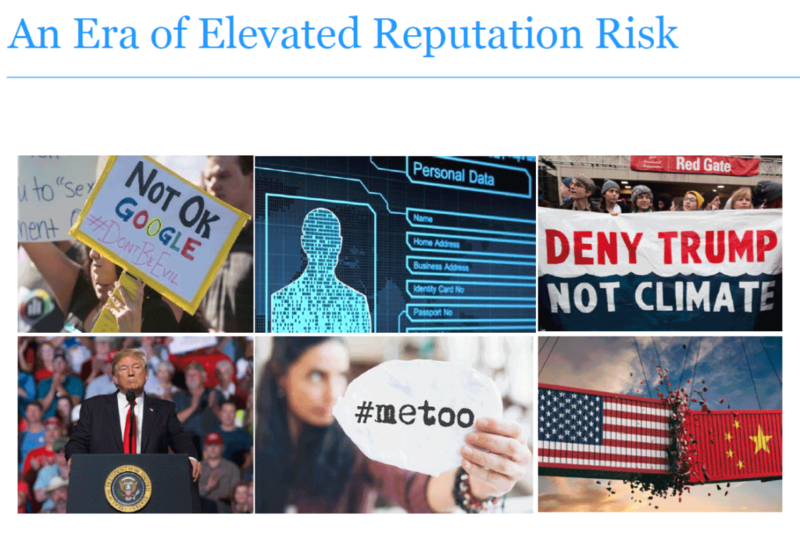 FACEBOOK– Reputation Institute widely publicizes their top 10 list, and they further show a full top 100 ranking in their more detailed report. But they don’t show all of the brands they are tracking beyond the top 100. This year, RI ranked a total of 390 major brands. I couldn’t find Facebook anywhere until I read the associated detailed analysis in their report. Facebook, it seems, came in at #389…well off the top 100 and right next to dead last of all brands measured. You just can’t fall much further than that! That puts Facebook deep in the basement, right between cigarette maker Phillip Morris and The Trump Organization. SONY – Nowhere in the top 10, nowhere in the top 50, and nowhere in the top 100! Last year, Sony came in at 73, this year, they disappeared completely with no explanation given in the Reputation Institute RepTrak 100 report. RepTrak 100 doesn’t only track technology, almost all industries are included and we saw big swings outside of tech as well. In fact, only two companies in the top ten in 2018 stayed in the top ten in 2019. This year, it seems, a big upheaval ensued taking many out of the top ten, and a couple out of the top 100. Reputation Institute analysts were essentially forced to focus on tech, because some of the most shocking changes happened in this segment- both positively and negatively. Netflix’s jump of 23 spots to take #1 was a true first – the first time in the 12-year history of the Reputation Institute’s U.S. RepTrak 100 survey that has ever jumped that many spaces to land in #1. Netflix did many things right, the analysis said. They created original content “to much critical and public acclaim.” This, coupled with consumer perception that Netflix acted in good faith by transparently removing Kevin Spacey from the hit show “House of Cards” in the wake of allegations of sexual harassment against the actor (at great risk and cost). To consumers, this risky move was simply Netflix acting as a good corporate citizen. However, there were more downgrades than upgrades, with substantial and dramatic falls from grace. The many downgrades caused the reputation researcher to ask on the report’s title page: It’s Reputation Judgment Day – Can You Provide Sufficient Assurances? Analysts in the report noted that Amazon saw its rating for innovation and financial performance improve in this survey – up 3.8 points. Yet, the survey ratings for its reputation dropped precipitously, -3.1 points. This disconnect with their customers leave them vulnerable for a big impact say, during a crisis. Each company that faced a major decline in reputation, tended to have specific issues that researchers say contributed to that loss. In the case of Google, researchers noted that the company has borne the brunt of several ugly issues lately, such as: employee walkouts over sexual harassment payouts and gender inequality, widely reported data breaches (including 52.5 million Google+ users’ data exposed), congressional hearings on the company’s governance and privacy practices, at least three major fines from the EU, some in the billions of dollars, for improper company practices. What Happened to ‘Do No Evil’? For a company whose motto is “Do no evil,” many consumers are beginning to question management’s fidelity to that stated ethos. 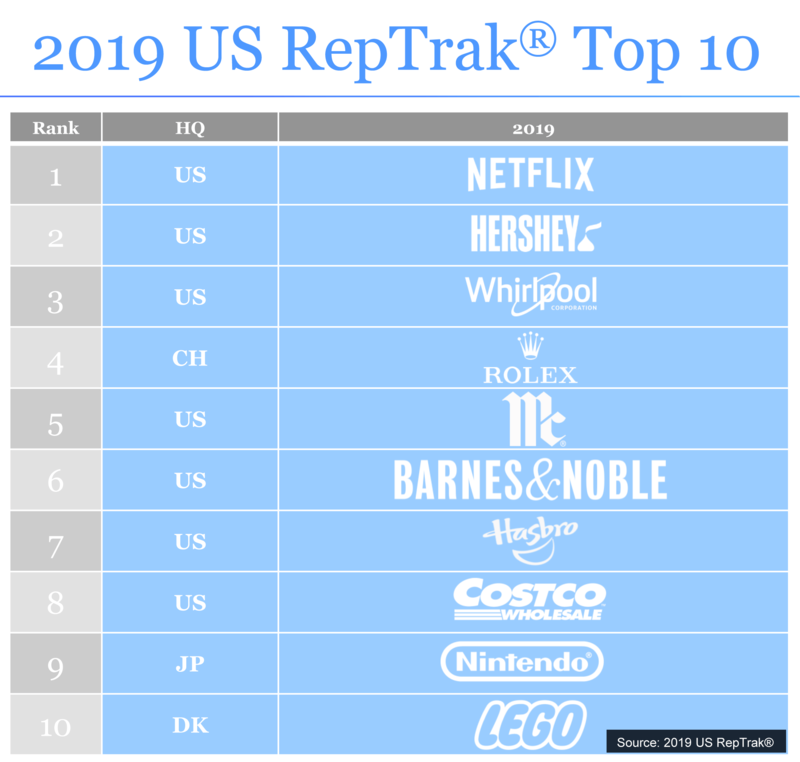 RepTrak 100 is now documenting the dramatic decline in corporate brand reputation as a result. Perhaps most dramatic of all is the astounding fall from grace of Facebook. RepTrak 100 measures four core components of a corporation’s reputation: Reputation, Citizenship, Governance, and Leadership. Facebook saw their ratings take a double digit hit in each of these core categories of -10.3, -14.6, -13.8, and -16.0 respectively. This dropped them like a brick to next to last at the bottom of the survey for all 390 brands.